Johanna Avelar and Lois Park in the Spatial Science Institute’s Population, Health, and Place doctoral program have been awarded scholarships by the International Cartographic Association (ICA) and the US National Committee to the ICA to attend and present at the 2019 International Cartographic Conference (ICC) in Tokyo, Japan this summer. 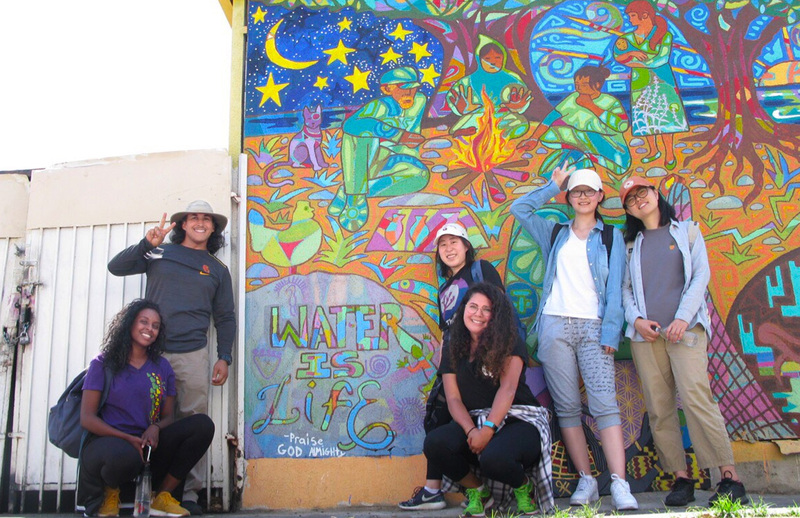 Avelar’s presentation will be on Los Angeles homelessness and the right to water, sanitation, and hygiene. She is a Ph.D. candidate in her third year. Park, a second-year student, will present on subnational estimates of health in low- and middle-income countries: a geospatial approach with kriging and raster analysis. The ICC is taking place from July 15 – 20, 2019 and will be held at the National Museum of Emerging Science and Innovation, located in the Tokyo Bay area. The conference provides opportunities for the exchange of ideas and collaboration among colleagues from academia, government and industry on the latest innovations and developments in mapping techniques, technological advancements and current research in cartography and GIScience. The ICC also will be a meaningful experience for Park. She said, “I am excited to have the opportunity to present my research and receive feedback in a large professional forum and am privileged to be supported by the both the ICA and the US National Committee to the ICA to present at ICC 2019. My goal coming into the Population, Health, and Place program was to explore various applications of spatial analysis methods to health data in low-and middle-income countries. The work being presented in Tokyo is motivated by the challenges faced by decision-makers who desire to make data-driven decisions at local levels, but face the limitation of having broadly aggregated estimates of health. The ICA has been an advocate for the importance of maps and GIScience in advancing the Sustainable Development Goals (SDGs) agenda so I’m excited that my work has found such a relevant platform. For more information about the Spatial Sciences Institute doctoral program in Population, Health and Place and its educational programs and research in geohealth, please visit spatial.usc.edu.